We Believe in the Healing Energy of Bees. We believe that nature holds the key to well-being. What you put into and onto your body directly affects how you feel and interact in your surroundings. Our intention is to nourish the mind, body, and spirit by bringing nature into all aspects of everyday life, inspiring beauty from within. Kara Brook’s Story shows how her passion for working with beeswax-infused art caused her to start her own hives. Soon after she began beekeeping, she started sharing her honey products with friends and family who loved them too. That was the beginning of Waxing Kara®. In almost no time, a small but committed team turned a small beekeeping operation into a full-fledged company creating healthful, nurturing Bee Inspired® goods. I wanted to create a product line so good for you, so beautiful, so inspiring there would be no reason not to invite it into every room of your home. We Believe in Following Your Bliss. At Waxing Kara®, we believe that passion is the key to happiness. Following her passion, Kara launched the company from her home studio in November 2012. By September 2013 she moved from her home studio into her first Honey House in Owings Mills, Maryland. And just two short years later expanded to a new facility that now houses a commercial laboratory. That’s where new products are tested and manufactured to make sure we’re delivering to you the best, natural honey-based Farm to Body® products possible. But we’re not just a store. The Waxing Kara® brand has one foot rooted in the nostalgic past and the other moving toward an adventurous future. That’s why you can find our products, inspired by nature, across the US in specialty stores, spas, apothecaries and online as well. 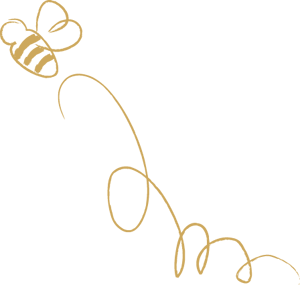 Waxing Kara® honey products have been sold in over 250 stores across the United States, including Anthropologie, and Uncommon Goods. Waxing Kara® has been featured in print and online magazines such as New York Times, Naturally Danny Seo, Food & Wine, Country Living, Southern Living, Garden & Gun, Cooking Light and Refinery 29. See our press page for details. We Believe in Saving the Bees. At Waxing Kara®, we believe in bees. We promote a socially-conscious message about the importance of bees, not only through our personal health but also for the health and sustainability of the planet. We are committed to reducing our carbon footprint at Waxing Kara® and one important way of doing this is finding ways to help save the honeybees. We preserve a large portion of our farmland specifically for bees. For example, at our Chesterhaven Beach Farm we devote at least 40 acres of land to grow plants that bees love. We began by removing genetically modified crops that farmers on the eastern shore planted because of their dependable yields. In its place we planted high-nectar indigenous plants, like wildflowers, lavender, fruit trees, bee balm, mints, sunflowers, buckwheat, several varieties of clover and much more. This amazing combination of plants inform our Spring and Autumn Artisanal Honey in a way that makes it irresistibly delicious. These plants don’t produce crops we can harvest and sell; but not everything is about the bottom line. We maintain these natural habitats to keep the bees happy and thriving. That means with every purchase at Waxing Kara® you’re doing your part to help save the bees! At Waxing Kara®, we believe in creating and sharing opportunity. I have always felt that when you give, it comes back to you—not that that’s why you do it. Doing for others is just another way of raising the bar for yourself. In my early thirties, I wanted to give back to the institution that helped make me who I am and created a scholarship foundation in honor of my father. For more than a decade Kara has served on the board of VisionWorkshops, a worldwide non-profit organization focused on teaching at-risk youth the art of photojournalism. VisionWorkshops oftentimes uses National Geographic photographers as teachers. A program like this encourages children, who may have difficulty learning or speaking the native language, to learn and communicate in new ways. Providing learning opportunities to kids in underserved communities makes everyone’s future brighter. It’s been Kara’s commitment to raise awareness of and give to this organization since its very beginning. To date, she has raised/given in excess of $180,000. A portion of all profits made from Waxing Kara® is donated to VisionWorkshops. At Waxing Kara®, we believe in conserving resources. Another way we’re committed to reducing our carbon footprint is through packaging. All our products are elegantly packaged in recycled products or they are easily recycled to deliver something beautiful to your life with the best ingredients made possible by bees. We are committed to high-quality craftsmanship, yielding fine artisanal goods and innovative, lovely packaging. Our expertly-blended products are designed to encourage creativity to flow, like honey. Check out the Waxing Kara® YouTube channel and subscribe to our newsletter to get our latest news and special offers. 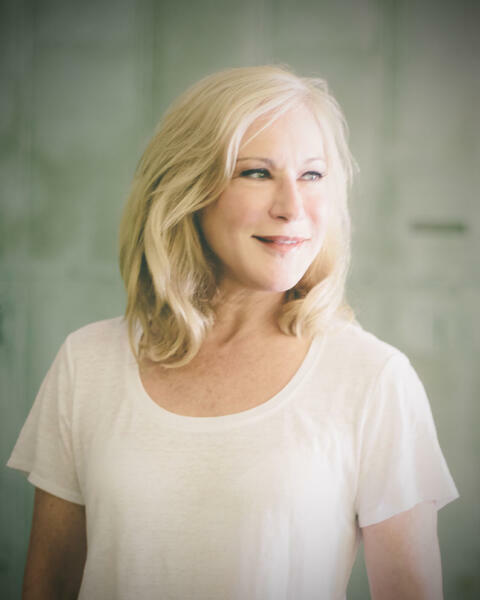 Kara Brook is the founder of Waxing Kara. She’s an artist with a fascination for beeswax. Kara paints and sculpts with encaustic. Encaustic is paint made with beeswax, tree resin and pigment. Though you may not have heard of it, it’s actually been around a really long time. Encaustic art dates all the way back to ancient Egypt. Kara found herself going through so much beeswax she decided to take up beekeeping. She liked the idea of a sustainable art form, one that came from the earth into her hands. And once she learned about bees and how important they are to our environment, she poured as much passion into her bees and the eastern shore honey they produced as she did for her art. That’s how Waxing Kara was born.